At Cajun Wholesale's Online Retail Store we offer the best Cajun and Creole brands. We pride ourselves on offering Authentic Certified Cajun products that are made in Louisiana, with products including seafood boil seasoning, boiling pots and equipment, Cajun seasoning, gumbo mixes, roux, hot sauce, and much more. Our customer service is second to none ... southern hospitality at its finest! We also offer wholesale pricing to businesses and restaurants. 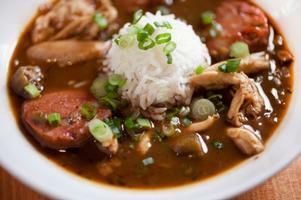 We hope you enjoy these Cajun products as much as we do! Get news on deals and discounts right in your inbox! We are closed on Saturday's & Sunday's. Expedited orders must be placed before noon (12:00 pm/CST) in order to be filled that same day. Please allow 48-72 hours for your orders to be processed. 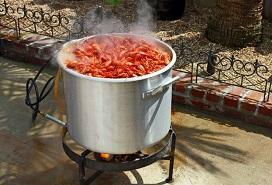 Louisiana Crawfish Man's Gumbo Mix 4.5 oz. 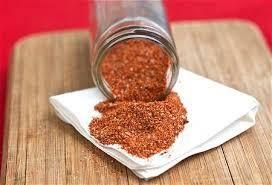 NuNu's Cajun Seasoning 8 oz.